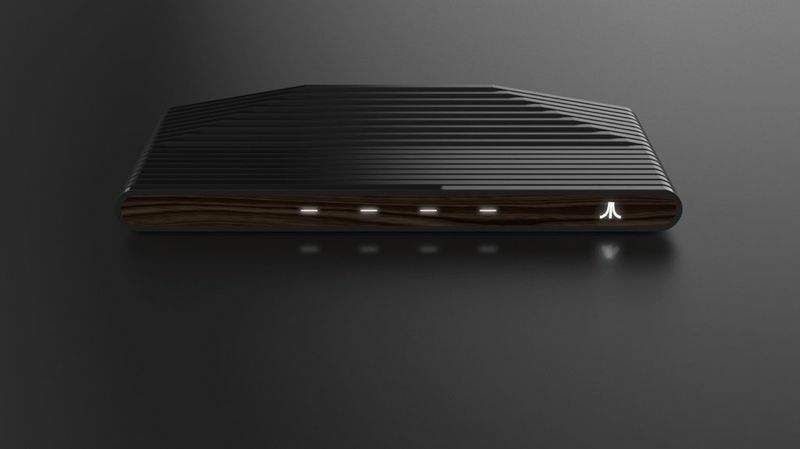 The first images of Atari's promised console have surfaced. 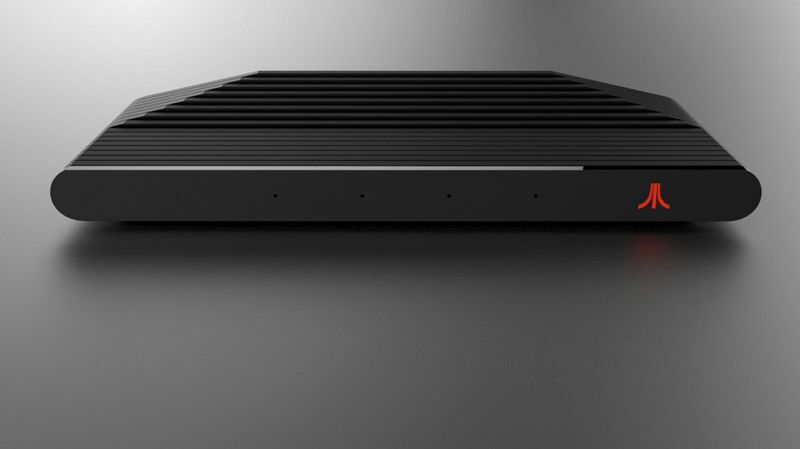 Last month, the CEO of Atari announced that the company was "back in the hardware business." The first look at the unit came in a 20-second teaser video, and now the company has released the first images. 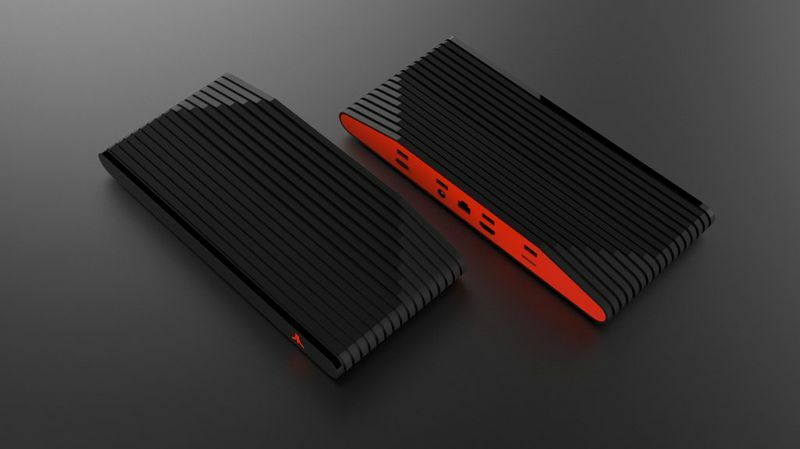 The images come from email sent to Atari fans, in which the company says that, "our objective is to create something new, that stays true to our heritage, while appealing to both old and new fans of Atari." 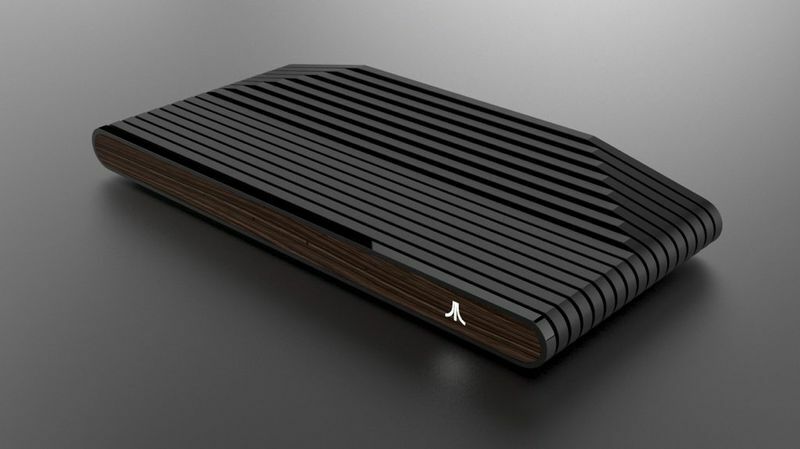 The console will be available in two looks, one with black and red accents, and the other with the classic wood that Atari 2600 owners will remember so well. It boasts support for SD cards, a HDMI port, and four USB ports. Atari also says that it plans to not only offer classic games on the unit, but "current content" as well. There's currently no word on just what games will be available, when the unit might release, its costs or really anything else. That being said, Atari is acknowledging that it's short on info. "We know you are hungry for more details; on specs, games, pricing, timing. We're not teasing you intentionally; we want to get this right, so we've opted to share things step by step as we bring this to life, and to listen closely to the Atari community feedback as we do so." We'll keep you updated on information once Atari makes it available. Until then, enjoy the images of the unit. Thank god they had the good sense to make it wood paneled. I'm not particularly interested but I can appreciate how they're going about this whole process. The unit itself looks pretty sharp and at least they're owning up to their lack of details. So, as always, time will tell. That being said, Atari is acknowledging that it's short on info. "We know you are hungry for more details; on specs, games, pricing, timing. We're not teasing you intentionally; we want to get this right, so we've opted to share things step by step as we bring this to life, and to listen closely to the Atari community feedback as we do so." Arari has a community? Huh. A quite attractive router, to be fair. Consoles generally always look like crap anyway (I loved the Dreamcast but it looked like a toasted sandwich maker), and I think that Atari design's okay. I second this, that was my first thought when I saw it. For personal preference, I would go with the classic wood style. Not a fan of the black body with bright red accents. now the company has released the first images. Could you give the source for the pictures, because those machines look like they were designed by hobbyist as a spoof. They were sent in an email. I assume it was to everyone that signed up for updates on https://www.ataribox.com/, and not just us, since the whole internet is showing them off this morning. Yeah, I wouldn't have gone with the wood paneling. It does give it it's own look but it makes it look really dated and hipsterish in the process. Also, has anyone noticed the complete lack of an optical drive on it? 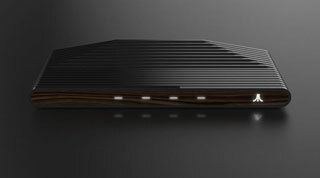 So... this looks like the Atari 2600. So its like the mini-NES and SNES? Actually, you know what, I don't care. As some who generally doesn't fall into the nostalgia trap, this seems to be a bad move. This looks good enough, i'd consider buying it purely for being an exposition piece. Funny, one of the first comments i saw on a different site was someone wanting to buy one for the case itself, and turning it into a router. The most surprising part of this is that Atari somehow still have fans after their last few releases. But i guess if Sonic can maintain a fanbase and survive through whatever the hell you'd call its' modern day existence, anything can. The only thing I think could keep this from crashing and burning is if Atari sold legit arcade conversions for this thing, not just terrible 2600 or 5200 titles. Those, in addition to Jaguar and Lynx libraries would get me interested. Still not enough information on this. Seems intriguing enough though, going to watch what happens for the time being. 1- The console ships with no games, supply your own card, and download the ROMs from that Atari store (sold separately). 2- Ships with no games, games are available as collections on SD cards. 3- Turn your retro console and $2000 t.v in to a digital photo frame. My router is a tall rectangle that is white. I almost thought it was like a PS2 until I looked closer. Wow, they're making an Atari Flashback Ouya Coleco Chameleon. Who are these people again? I wonder if the controller is going to be true to the Atari heritage, as well. The Console market is full as it is. I mean, i'm still not entirely convinced that the Switch needs to exist. We don't need yet an other device that can play Skyrim. On the other hand i do get that they would like some of that nes/snes Classic money. But as i understand it will be a full blown games console, so back to reaction no,1. They're not sharing info because they don't have it. The console doesn't exist. They're trying to generate consumer interest to woo investors into putting money into the thing so that it can exist in the future. Betcha anything. It doesn't take much to get somebody to throw up a model for pictures to post on the internet. "our objective is to create something new, that stays true to our heritage, while appealing to both old and new fans of Atari[BLANK]." I was thinking the same thing. Without any sort of optical drive, this thing seems like it'll only live up to the potential of a Steam Box.